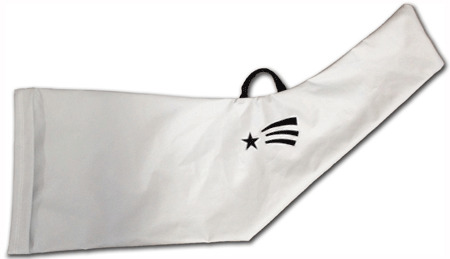 Comet Rudder Cover - Napbac -- One Design Sailboat Covers -- The Sailors Tailor, Inc.
A great way to protect your rudder while storing or transporting to and from the lake. Made of flannel-lined napbac canvas just like our bottom covers. Velcro closure, handle, and class monogram make for a very attractive addition to your covers.